Rafale Deal Comparison UPA VS NDA – Who’s the best Dealer ? 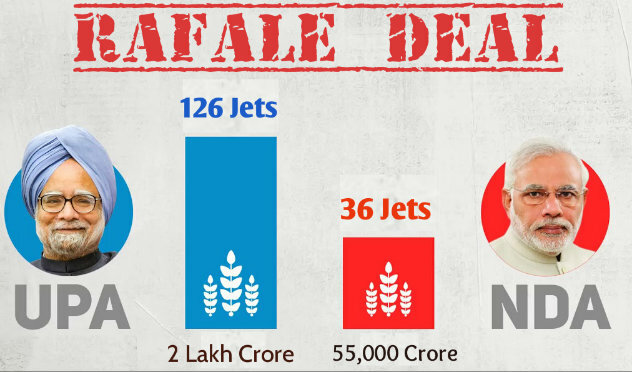 Rafale Deal Comparison UPA VS NDA – Who’s the best Dealer ? Why India needs Rafale Jets? Whats is Rafale Deal ? Rafale jets are the twin-engine, medium multi-role combat aircrafts (MMRCA) developed and designed by the French aviation company, Dassault Aviation. The company defines Rafale as ‘Omnirole’ jets, meaning these jets are extremely versatile as they are capable of handling any kind of situation while being up in the air. 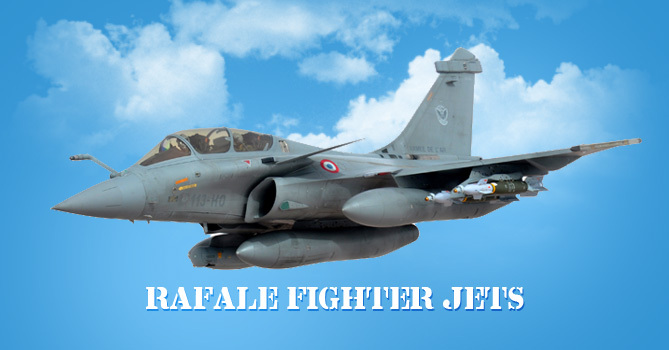 The Indian Air Force (IAF) urgently requires Rafale jets to strengthen its aircraft fleet. IAF needs 42 fighter squadrons while its real strength declined to 34 from 2002-2012 due to few jets being rendered as obsolete. Currently, the Indian Air Force has Sukhoi fighter jets and is in a dire need of adding more fighter jets to its current fleet, for which it moved a proposal back then in 2001 for the purchase of more jets. What is Rafale Deal ? – History & Details ! Considering the need for fighter jets, the Vajpayee-led BJP government proposed the idea of purchasing 126 MMRCA’s. However, a formal Request for Proposal (RFP) was made only in 2007 during the reign of Manmohan Singh-led UPA-II government. About six fighter aircraft manufacturing companies competed for the MRCA (Multi-Role Combat Aircraft) tender. These were: USA’s Lockheed Martin F-16 and Boeing F-18, Rafale jets by France’s Dassault Aviation, Russia’s Mikoyan MiG-35, Sweden’s Saab JAS Gripen and Germany’s Eurofighter Typhoon. Out of these 6, IAF (Indian Air Force) concluded that only Dassault Rafale and Eurofighter Typhoon meet the criteria required by the Air Force. In 2012, Dassault came out to be the lowest bidder and finally bagged the tender in January 2012. After the Modi government came, Prime Minister Narendra Modi gave a confirmation about the purchase of 36 Ready to Use Rafale jets, following which, in 2016 the Defence Ministers of both the countries signed the Rafale deal. India will receive the delivery of the first Rafale jet in September 2019 while rest of the fleet will arrive by 2022 with the following weapon system and support. Out of 36 ‘Ready to Use’ jets, 28 will be single seater while rest of the 8 will be double seater. France will train 3 Indian Pilots, 6 technicians and 1 staff member. 75% of the Rafale jets will be always be ready to operate when need arises. 5 years of logistical support will be given by France. 14 specifications as suggested by Indian Air Force. Scalp and Meteor missiles will be provided along with the jets. Scalp is a cruise missile (for air to ground strike) having the range of 300 km. Meteor missile is for air to air strike which can destroy the enemy’s aircraft in the air itself. Rafale jets to be received by India will have the unique features of Low Band Radar System and Infrared Search. With its ‘Cold start technology’, the engine of the jet can get heated up hence, making Rafale jets ready to operate in cold and dry regions such as Leh. Rafale Deal also includes the clause of ‘State of Collage’. This clause means that France will invest 50% of the money to be received for Rafale jets in India only through the ‘Make in India’ initiative. During the UPA government, the proposal was to purchase 126 Rafale jets for which the total price that fixed for each Rafale was 99 million euros ($12 billion in total). However, the deal couldn’t be signed at that time and negotiations continued. UPA’s deal included a ‘Transfer of Technology’ clause as well in which HAL would receive the French technology to manufacture Rafale aircrafts. In 2014, Prime Minister Narendra Modi came to office and looked into the Rafale deal. On Aril 9, 2015, Modi left for Paris and announced that India will purchase 36 Rafale fighter jets from Dassault Aviation. PM Modi left it to the then Indian Defence Minister Manohar Parikar and his staff to complete the price negotiations. In 2016, India finally signed the deal with France of purchasing 36 off the shelf fighter aircrafts at the price of 7.88 billion euros. This also included weapon components and other operational equipment, about which the description is given in the next section. Whose deal was better – BJP or Congress? The Manmohan Singh led UPA government had agreed upon the purchase of 126 Rafale MMRCA’s, out of which 108 were to be made by the Hindustan Aeronautics Limited (HAL), Bengaluru through Transfer of Technology from France. Dassaultdid not gave any guarantee for the quality of the aircrafts to be manufactured by HAL and the Rafale deal suffered amid all these negotiations and test and trials for about three more years. BJP government finalized to buy 36 Rafale jets in ready to buy condition along with logistical support and additional weapon system. 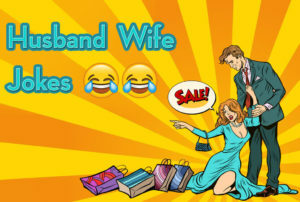 Which deal is more cost effective? At the time of Congress, the Rafale Deal was signed at a total cost of $12 billion for buying 126 jets, from which 108 were to be manufactured by HAL. As against this, the BJP government signed the deal for $7.87 billion. This deal also included extended weaponry and logistical support from France. During the reign of Congress, Rafale deal included only the purchase of 126 jets and Transfer of Technology to HAL. But the Modi Government and Manohar Parikar (then Defence Minister of India) signed the deal for purchasing 36 off the shelf Rafale jets. France also gave a ‘Diplomatic Discount’ to India by including in the deal 5 years of logistical support and additional weapon system. Reliance Defence Ltd. is a private sector firm led by Anil Ambani. The French Aviation company, Dassault chose Reliance to be its Indian Industrial Partner. As a result, the Congress party accused the BJP government for favoring the Reliance Defence Company and choosing it over HAL. The UPA government made allegations against the NDA for benefiting ‘a businessman’. To these allegations, Chairman of Reliance Defence, Anil Ambani, himself came forward and expressed his angst for all the false claims that were being made. He said that, the decision of Dassault entering in an agreement with Reliance Defence is purely a private decision and an agreement signed between two private enterprises. He also claimed that the Indian government has no role to play in their private agreement. The leaders of the Congress party also made statements that Reliance Defence Ltd. has no expertise in the aerospace, to which Anil Ambani replied that they are the leaders in significant areas of defence manufacture. Ambani also gave a rebutting reply to Surjewala’s doubts about Reliance’s capability to make a significant contribution to the defence sector. He said that Reliance Defence has the largest shipyard located in Gujarat, is building 5 naval offshore patrol vessels for the Indian Navy and 14 fast patrol vessels for the Indian Coast Guard. Ever since the Rafale Deal was signed by the then Defence Minister, Manohar Parikar with the necessary modifications made in the deal, the Congress party has been accusing the government for making a ₹50,000 crores scam by signing this deal. They have accused BJP and the PM Modi for hiding the real price that will be paid for each Rafale jet. To this the BJP replied that in interest of national security, they cannot reveal the prices and other confidential details regarding this deal. These are some of the claims being made by the Congress party criticizing the Modi government and holding them responsible for the loss of Transfer of Technology clause. 1. Sitharaman said that the BJP government in 2000 led by Vajpayee had realized the need for strengthening the fleet of Indian Air Force and took the first step by presenting the idea of purchasing 126 MMRCA’s and then the Congress came to power, and was unable to conclude the deal in its 10 years of long tenure. This she regarded has an ‘ACT OF OMMISSION’ decline in number of fighter jets left with IAF. 2. Congress alleged that PM Modi did not followed the rules and the procedure of getting the deal passed by Cabinet Committee on Security(CCS) and without even having a detailed discussion with his Defence Minister announced during his visit to the French capital that India will purchase 36 off the shelf fighter jets from Dassault. To this Sitharaman replied, that the PM followed the due process of getting a clean chit from CCS before making this announcement. 3. To UPA’s accusation about removing the Transfer of Technology clause from the Rafale Deal Sitharaman said, that it is a case of simple economics. She said it would obviously have been economical to make 108 out of 126 Rafales in India, but when the deal has already been delayed for almost a decade, then in that case, Transfer of Technology for making 36 aircrafts does not makes sense, in fact, the Indian government wants to add the fighter jets to the existing IAF fleet as soon as possible. 4. Countering the next allegation made by UPA that PM Modi has signed the deal for the benefit of Anil Ambani; Defence Minister said that if two private entities want to sign an agreement with each other they do not requires the government’s permission to do so. Even a French delegation refuted the claims of Congress. 5. The UPA also made claims that they had zeroed in on the deal with far better clauses and a better price that the NDA government has settled. To this, Sitharaman replied that they have got a far less price than the UPA with additional benefits of logistical support and weaponry. The Indian Air Force Chief BS Dhanoa had said that the technology might not be going to the HAL but it is definitely coming to DRDO and to a lot of Indians. He also said that the Indian Government had negotiated a good deal. But it should also be kept in mind that the CCS permission was not sought before announcing the Rafale deal in Paris. The deal finalsed during UPA’s reign did not have the logistical support and other weaponry that has been included in the deal signed by NDA. But again the Transfer of Technology clause had to be removed by the government. Therefore, both the deals had their own positives and negatives but still the IAF can take a sigh of relief as the first batch of Rafale fighter jets will finally arrive in September 2019. The nation is eagerly awaiting the delivery of these brilliantly unique aircrafts. The owner of Reliance Defence Ltd., Anil Ambani has filed a defamation case of Rs. 5,000 crores against National Herald, an Indian newspaper owned by Congress. Ambani regarded the article published in National Herald as ‘libellous and derogatory’. He added that the article was written to mislead the public and make them believe that the BJP government was extending business favors to his company since they have good relations with each other. Ambani was of the view that it was done to present him and his company in bad light and to damage his reputation. “We got a cheaper deal signed than UPA”, claims Nirmala Sitharaman. The Indian Defence Minister is of the view that the BJP government signed a 9% cheaper and better deal than what the UPA government negotiated. Sitharaman also said that Hindustan Aeronautics Limited was excluded by the Congress from the manufacture of Rafale jets. Therefore, it should be Congress and not BJP which should be answerable as to why HAL wasn’t made sufficient to produce Rafale jets. Supreme court to hear public interest petitions against Rafale deal on Wednesday. The Supreme Court will hear on the public interest petition on the demand of handing over the details of the Raphael Agreement to the court in a closed envelope. Earlier, the court had fixed October 10 as the date of hearing on another PIL. The petition sought to ban the Rafale Deal. Demanding intervention from the court, he says that in order to stop the criticisms, information about the agreement between the Indian government and the Dasu Aviation should be given at least to the court. In this way, the court can carefully examine that deal. Earlier, advocate ML Sharma had demanded a ban on the Rafale deal by filing a PIL. The CAG Report concludes that NDA signed the deal for 7.87 billion euros to be paid for 36 jets than what was negotiated by the UPA. The report questions NDA government’s argument that they got a 9% cheaper deal than the UPA. Even the 2.86% savings have been due to India specific enhancements. Since there are only 36 fighter Rafale jets as per the current deal, the Indian Air Force will be able to fill only 02 squadrons with these many jets. This clearly implies that there is a shortfall of about 70% on defence procurement with this deal. The CAG report states that the NDA – signed deal has a better delivery schedule as the Rafale jets are all set to arrive between September – October 2019. This implies that the first fighter aircraft will arrive one month prior as against the five months advance time period stated by NDA. Though the Modi government claims that they have signed an inter – governmental pact with the French government but allegations are being made by the UPA that the ruling party has signed a direct deal with the French aviation company, Dassault. CAG report says that if there has been a breach of this agreement, then the Indian government will be solely responsible for any price issues or quality of aircrafts and will have to negotiate with the Dassault aviation on their own. The UPA government has alleged that the Modi government has signed a deal where per aircraft pricing of Rafale jets has been increased from Rs. 526.1 crores ($7.51) to Rs. 1570.8 crores ($22.41). The truth behind this is that Congress negotiated the said price few years back and by this time, the price of the each jet has risen. There is a secrecy clause in the inter – governmental agreement according to which any details about the defence deals signed between India and France will not be disclosed. According to the article 5 and 6 of the India – France Bilateral Agreement (2008), the ruling party can confidentially brief the Congress party about per jet price. But it cannot disclose it to the public. Also, Indian Defence Minister Nirmala Sitharaman said in November 2017 that they will reveal the prices of per unit of Rafale jets and now the government is on backtrack by not revealing the prices. Both French and Indian governments have refrained from divulging into any major details about Rafale jets and both the governments have not acknowledged any strategic role to be played by nuclear weapons to be used in Rafale jets. This thing is gaining importance in defence circles that if India wants, then it can use nuclear weapons in the Rafale jets, such will be the designing of these fighter planes. Also, there can be a special shielding done in every jet so as to protect it from the explosion if India drops nuclear weapons anywhere in future. France will obviously never acknowledge any such specifications in Rafale jest because of they are signatory of the Nuclear Non – Proliferation Treaty whose Article 1 says that France cannot lend any nuclear weapon support to any country. India has not signed this treaty as it will unable us to test nuclear weapons in future.